Yesterday I spent the day crafting and enjoying some down time. It was a delightful treat and a real pleasure to sit and make. After having had a very busy week at work I felt that I wanted to put my effort into things that I love and make progress on my own personal projects. After pootling around the garden and greenhouse checking out how everything is growing, hanging out the washing to dry, I settled down to a day of craft projects. It felt like a perfect day doing the things I love. Firstly I spent the morning printing out the photos I've taken during August so far and caught up on memory keeping for the month using my Project Life album and my stash of Studio Calico Project Life kits. I love this project and when I make the time to sit and document it enables me to see how very rich my life is. I find it a really important exercise in gaining perspective and appreciating the small and simple things in life. After lunch I settled down to carry on with my granny square crochet project. I began this project quite a while ago and started off making some small granny squares. I had a slight panic a few months ago about how many more squares I needed to make and join together for the blanket size that I wanted. 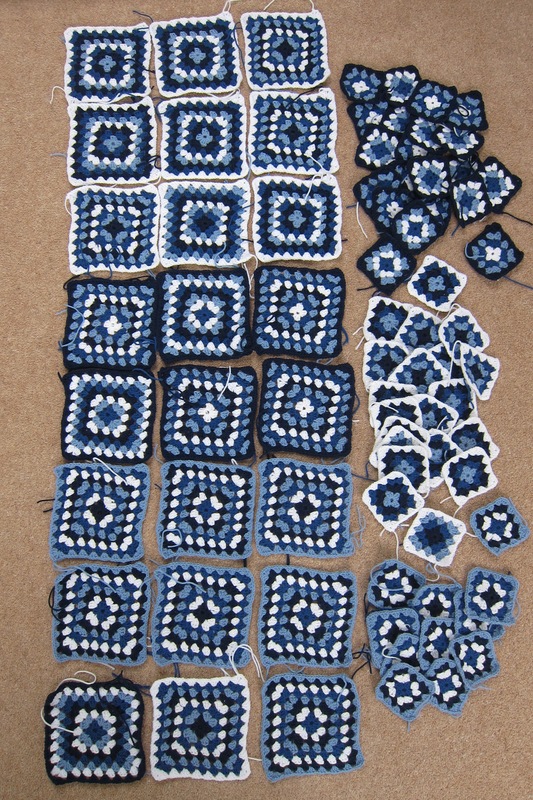 Joining crochet squares together is something I have never done before and I am currently sticking my head in the sand! With thoughts of the final construction process in mind I decided to make each square bigger by repeating the colour combination of rounds once again. I'm hoping that this will mean that the process will be easier as there will be less squares to join together. 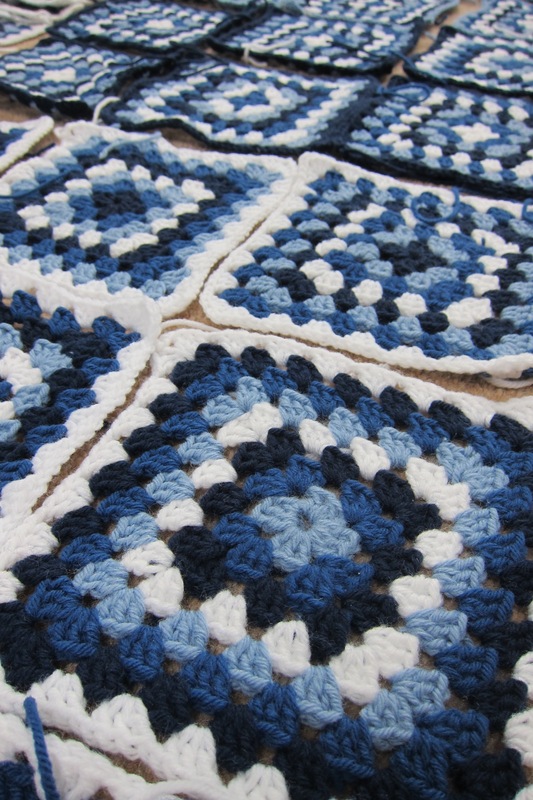 I'm loving these big granny squares and think that the patterns that they create are so pretty. I'm hoping that I will find it a real pleasure to put these together when the time comes. The rhythmic treble crochet and colour changes is something I'm enjoying very much at the moment with this project. 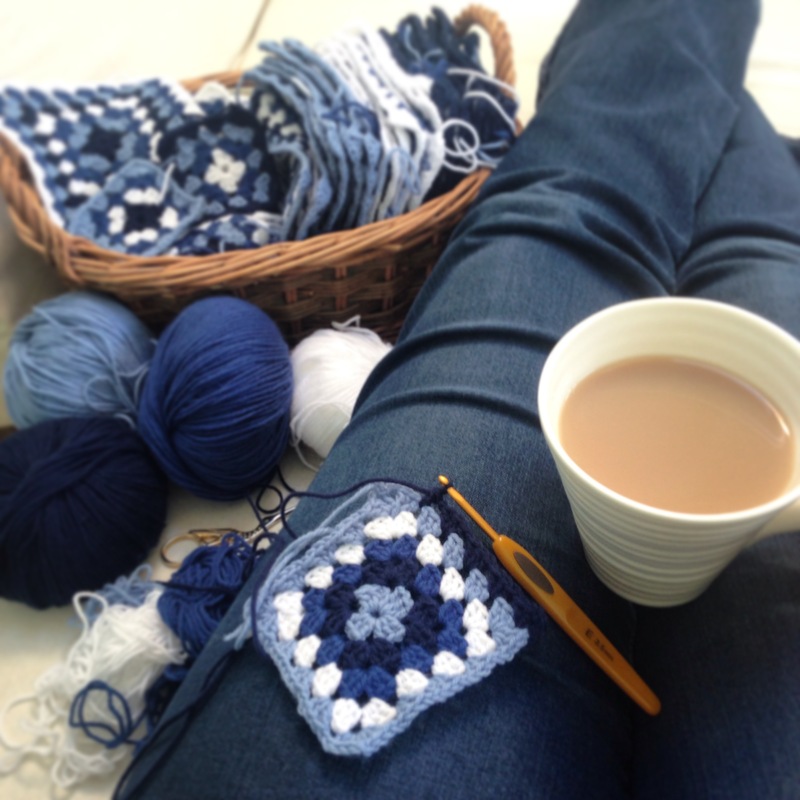 Whilst I crochet I love listening to podcasts, the majority of podcasts that I listen to are from the US however I recently discovered a lovely podcast from the UK that I am really enjoying. I found out about this podcast whilst attending Blogtacular in June. I met lots of inspiring bloggers during the day and one of those was the wonderful Kate from A Playful Day. Kate's blog and fantastic podcast is a real must for yarn lovers and I would highly recommend it. Since attending Blogtacular I've been catching up on each new episode of A Playful Day but I wanted to spend some time listening to the back catalogue. I must say that it is a real pleasure listening to the yarny chat and the inspiring topics that Kate covers. 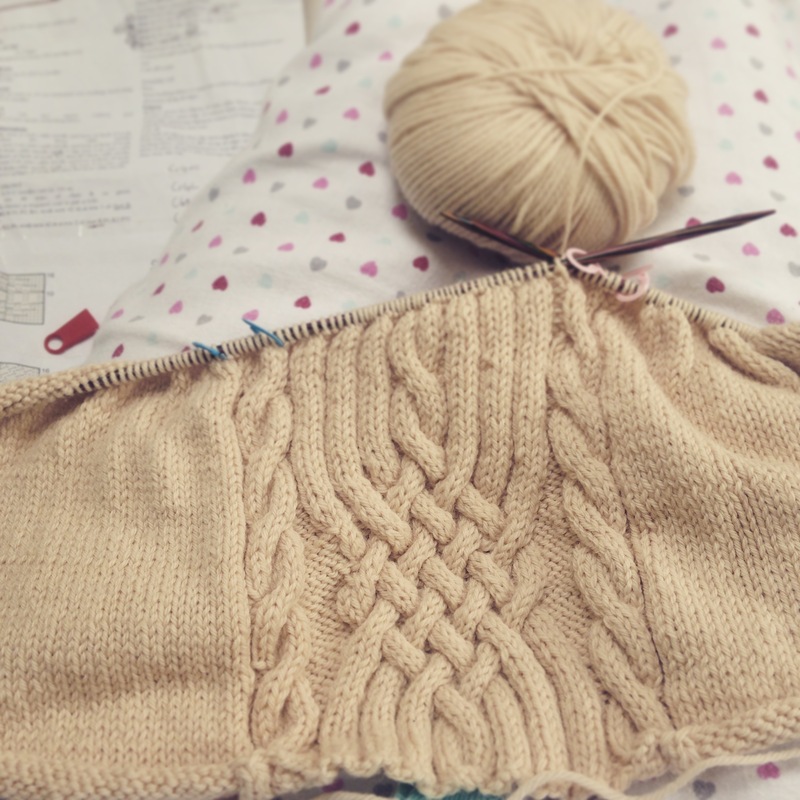 It has opened my eyes up to many aspects of knitting that I wouldn't have realised, so much so I have pulled out my cosy cable cushion cover that I had put on pause and have started knitting again this morning. Yesterday was a really lovely indulgent day and something I so very much needed. Taking the time and investing my energy and thoughts into the things I love doing is something I find very fulfilling and something I hope to continually try to do more of.